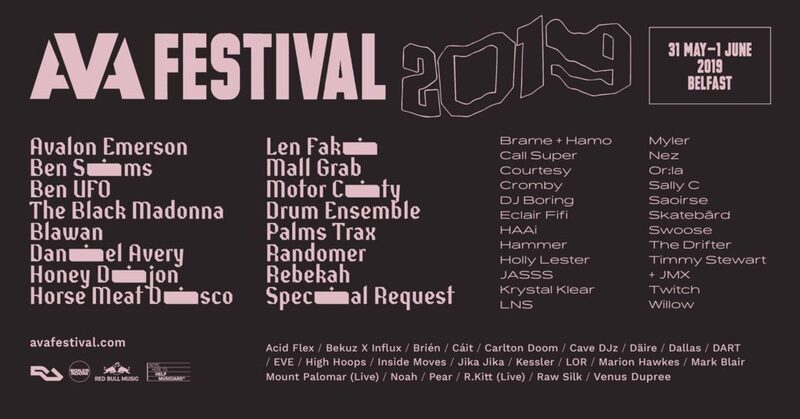 AVA Festival have just released the acts for their 5th edition of the event this May. One of the most highly-anticipated events on Irish dance music fans’ calendars is back. AVA Festival will be returning to Belfast this summer with a three day event to celebrate five years of the festival. There was a post made on AVA’s socials on Tuesday evening saying that the artists would be announced on Thursday (today) afternoon and we’ve been eagerly anticipating it since. As promised, the acts were delivered to us today and it was well worth the wait. It features some AVA veterans like Cromby, Swoose, Timmy Stewart, Or:la and Nez as well as welcoming a host of new headliners such as Motor City Drum Ensemble, Palms Trax, Blawan, The Black Madonna and Rebekah to name but a few. Check out the full list of artists below. Join the event page here to keep up to date.